The AGS Group: Focus on quality! THE AGS GROUP HAS, ONCE AGAIN, RENEWED ITS ISO 9001: 2015 CERTIFICATION. Having been audited by SGS since 1998, AGS undergoes an in depth audit every 12 months to guarantee its customers and partners the impeccable quality they deserve! AGS GROUP IS ISO 9001/2015 CERTIFIED. The ISO 9001/2015 standard defines the requirements for a quality management system and assists us to constantly improve and sustain the quality of our services. 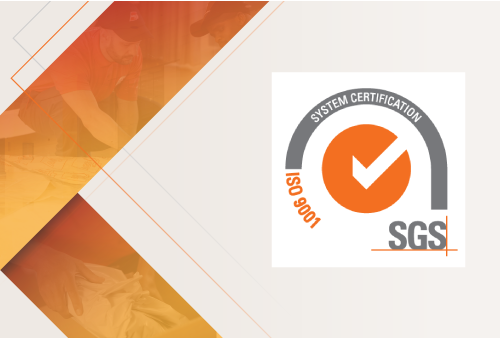 Audited by SGS, the AGS Group has renewed its ISO 9001 certification with the new 2015 version.